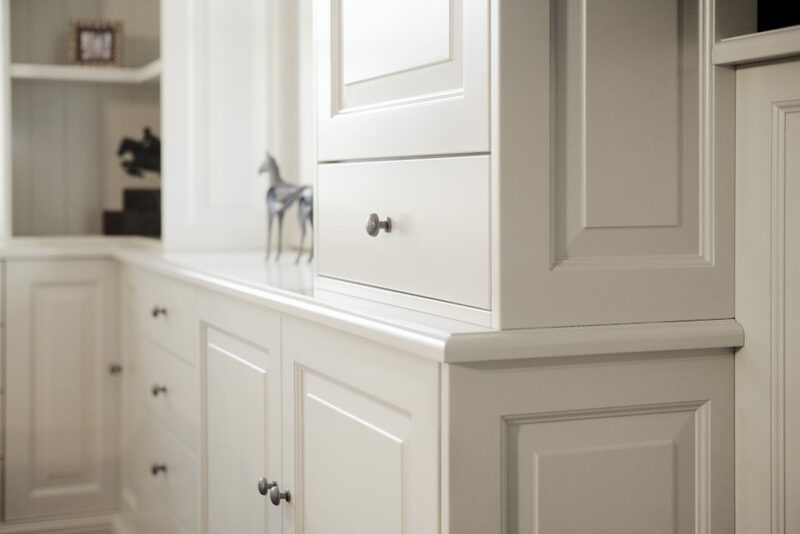 The use of a double clothing cupboard and sliding doors is an extremely efficient way of creating a chambre en suite or connecting bathroom. Not only is it beautiful to look at, it has numerous functional advantages as well. 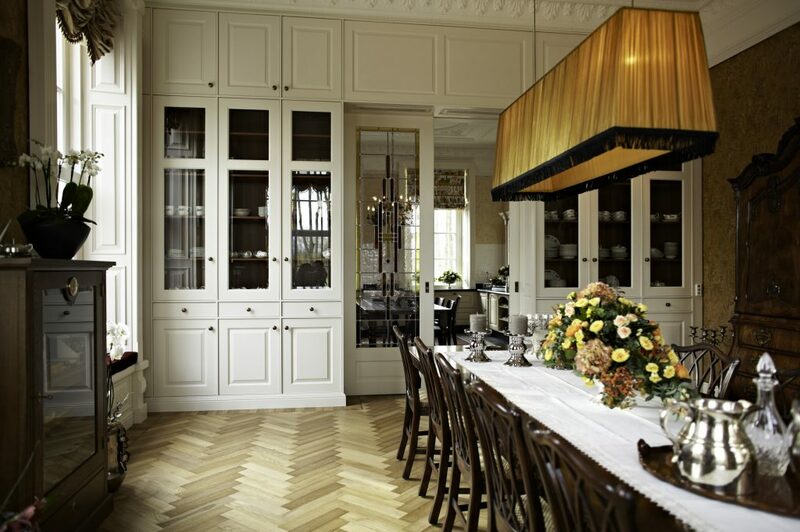 By combining the cupboards, you leave more space in the other rooms. You can choose from a variety of decorative glass, which is so characteristic of this kind of construction. Whether it’s a work room, a study, an office or a home library, the purpose of this room is clear enough. You want a sense of space and calm in which to work. The careful choice of decor for your work space is extremely important in creating a pleasant and productive atmosphere. Where do you want your desk? Where does the light enter the room? Where should the cabinets and cupboards come to stand? How many do you need? 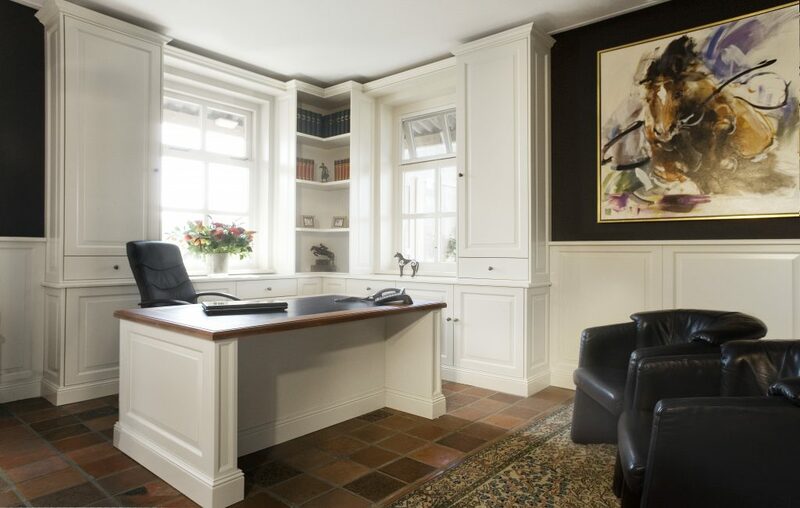 Do you want a classic, richly decorated desk or neat lines with a modern look? SeBo builds your ideal work space with all these considerations in mind. Panelling is not only meant to protect the walls. It also has an important aesthetic function. Wood radiates a sense of warmth and gives the interior an undeniable added value. 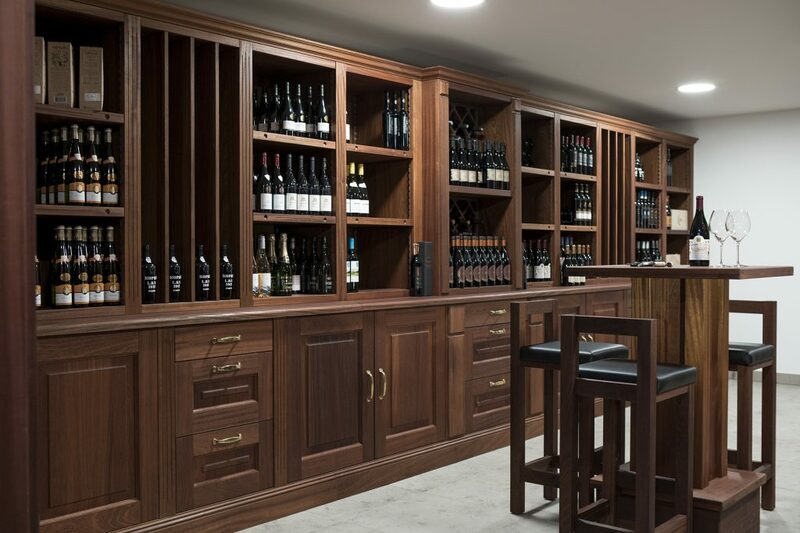 There are numerous possibilities for the cabinet work, such as a variety of bossing, tongue-and-groove, or sleek and modern lines. All these techniques call for skilled craftsmanship. If it’s craftsmanship, expertise and precision you want, come to SeBo. 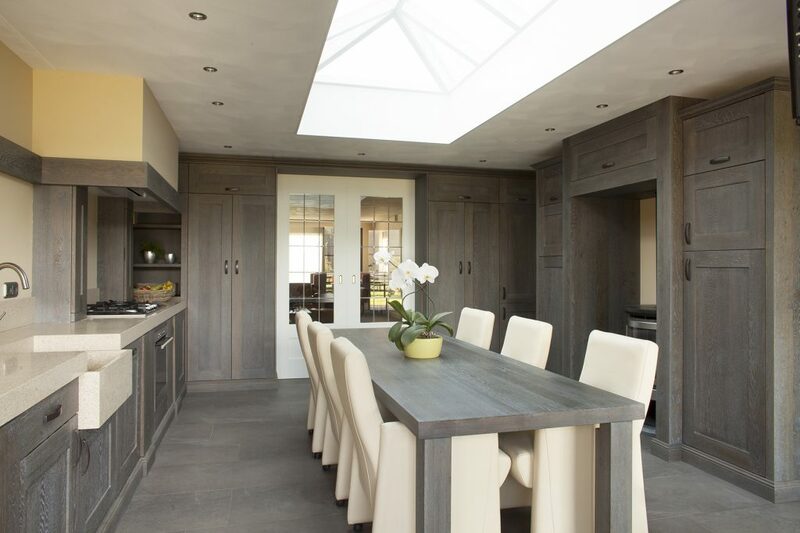 Very often, a kitchen is integrated into the coffee or lunch room belonging to a stable or other organisation. Riding schools usually need a place where people can gather, have a drink, and talk things over. 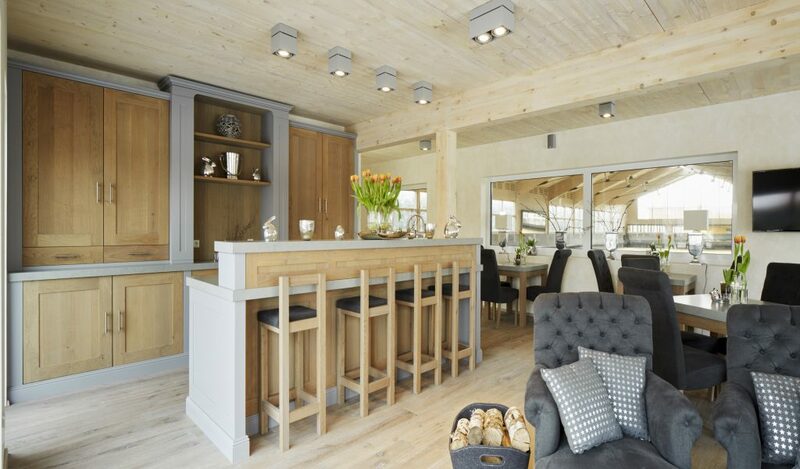 Would you like to see your “local” convert seamlessly into a bar or buffet table? 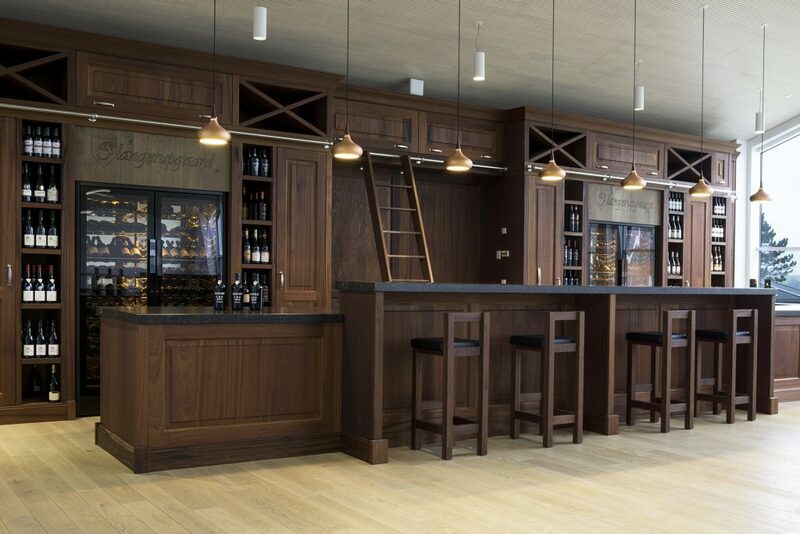 With its years of professional expertise in designing and producing specialised, multifunctional buffets and bars, SeBo is just the partner you need.